After years of advocacy through petitions, meetings and t-shirt drives, it’s time for Silver Comet Trail advocates to celebrate. Land has been acquired to extend the trail to the Chattahoochee River, with plans in the works for a connection to the Atlanta Beltline. Connect the Comet will be holding a celebration at Vinings Bank on Oct. 28, with attendees encouraged to bike to the event while sporting the group’s bright yellow t-shirts. In some ways, the hard work is finished. In other ways, it’s just beginning. The actual process of financing, designing and constructing the extension now gets underway. The project will involve a lot of tough engineering work and coordination between various agencies to get moving. 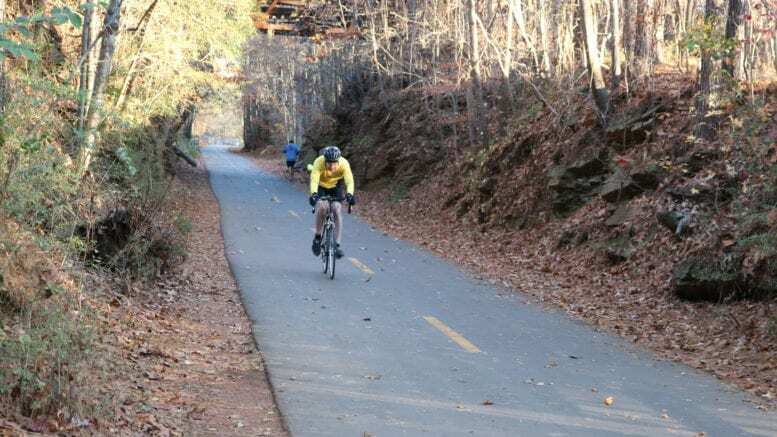 Cobb DOT is expected to partner with the PATH Foundation, which built most of the existing Silver Comet Trail, to construct the initial 2.3-mile extension on the Cobb side of the Chattahoochee. Early estimates have the project coming in at a cost of roughly $10 million, though PATH Foundation founder McBrayer hopes it will be cheaper, with construction beginning sometime in the second half of 2019 and potentially ending as early as 2021. The 4.3-mile extension planned in Fulton County that will theoretically connect to the Atlanta Beltline is further behind in development. As a registered 501(c)(3) the PATH Foundation can solicit donations from private businesses and individuals as a tax write-off to help finance the new trail. He’s led PATH since 1991 and brings plenty of experience to the table. 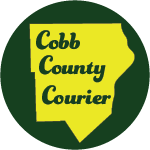 The Cobb extension will be built in two major sections. The first is taking it from the current dead end near the East-West Connector to Plant Atkinson Road. This will be the easy part as it’s a direct rails-to-trails conversion that could take as little as four or five months once construction begins. The second, more difficult part, will be an extension from that point to Atlanta Road and the river itself. As CSX is maintaining use of some rails east of Plant Atkinson Road, the trail will leave the train tracks, which means there will be right of way acquisition involved, according to Meyer. Then there’s the matter of ancillary portions of the trail. Connect the Comet, which delivered a petition to the governor’s office last year, is expected to remain involved as well. McBrayer said the group will serve as a “public outreach mechanism” for the extension, meeting with homeowners in the area to get input from the public. There’s still a long way to go, but advocates are ready now that the most difficult step of land acquisition is largely out of the way. 1 Comment on "Now what? Silver Comet Trail advocates prep for work on new extension"
TERRIFIC reporting and writing from Haisten as always!! !